The term “groundbreaking” is too frequently used in describing music albums. 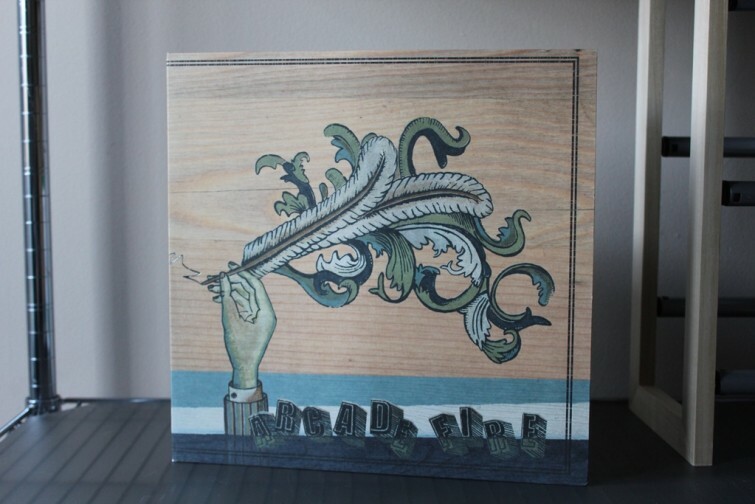 But in the case of Arcade Fire’s “The Funeral,” it’d be wrong to describe this album as anything but groundbreaking. There is so much hype and comparisons to other musical acts and associations with music scenes and sects of music fans. But when you completely ignore all of that noise and listen to this gem, what you have is one of the most intimate and finely-crafted debut albums ever recorded. Following its release, the band booked small clubs for their 2004 tour. But growing interest forced many venue changes, far beyond the band’s expectations, and the tour continued into mid-2005 throughout the United States, Canada, Europe, the SummerSonic Festival in Japan, and the Hillside Festival in Guelph. One of my favorite parts of this record is the memorial slip that it comes with. The pages are designed to look like a funeral program, with the lyrics of the album written within. In it, the band includes a somewhat fictionalized version of how the band formed and how it was recorded. Regardless of your musical preference, Funeral is an album everyone should listen to at least once. You can download the album right here. I have this album on my list of vinyls to pick up, along with The Suburbs. I actually had this in my cue recently when buys some albums online, but instead went with Mimicking Birds last album “Eons”. (Another great album). haven’t you find side 2 way too quiet(er than side 1)?